Cool Jewelry for Men, Cool Jewelry for Dad! 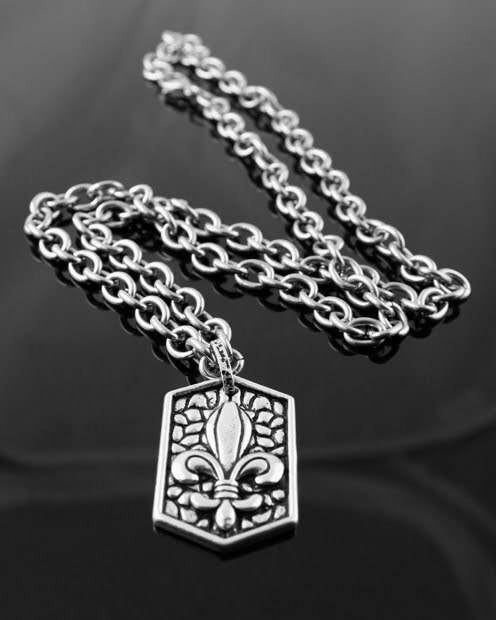 Check out the MONOARCHY SQUARED: Men's Silver Necklace & Charm from KYNDRID Jewelry. 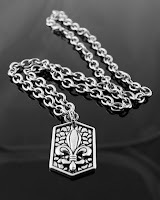 This cool necklace has a sterling silver pendant housing two fleur di lis. This unique pendant is TWO-SIDED! Show off his savvy side and switch it up for day or night when he is on the run between work and personal life! Length, 22 inches. KYNDRID Jewelry offers unique, trendy jewelry for men (and women). Be sure to check out their other cool jewelry gift ideas for him (and her)! !